With the start of the new school year comes change, especially for the counseling office. 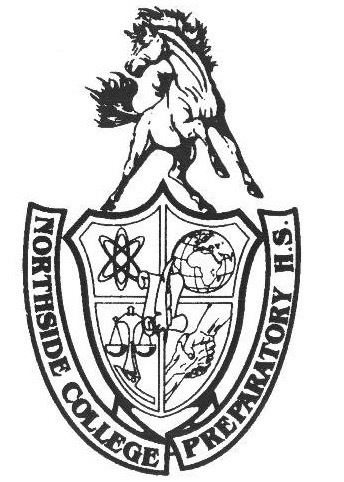 As college season takes over Northside, the load for administrators may be lightened by some new faces in the office. Ms. Kelly Fuzetti, intern for Ms. Marina Medina, counseling department chair, Ms. Monique Moore, college and career coach, and Ms. Joanna Klimek, intern for Ms. Katherine Mathews, counseling department, are all new to the counseling department this school year. I had the pleasure of interviewing each of them and learning a bit about their motivations and goals for their time at Northside. Ms. Fuzetti kindly agreed to an interview about her experience at Northside so far and what she hopes the future might hold. Ms. Fuzetti is from Detroit, Michigan and attended Michigan State University. She now attends Northeastern University and is doing the internship as part of a requirement to receive her graduate degree in school counseling. After graduating from Michigan State and before coming to Northside, Ms. Fuzetti was a Spanish teacher. She taught in Michigan for nine months, in Illinois for six years, and in Connecticut for one year. She said that although she loved being a teacher, there were some parts that she wished she could go without. Her experience at Northside so far has been somewhat what she expected, but she noticed a lot of stress on kids because of Northside’s focus on academics. She was pleasantly surprised about the level of care for every student from the counselors, explaining that every student is treated the same in terms of being informed. Kelly explained how she has grown since starting her internship. She said that after seeing kids go all around the country for college, she is now more informed on colleges in general. The daily recommendation letter, along with talking to students about personal and school issues has convinced Ms. Fuzetti that she wants to be a counselor, in CPS, in the near future and hopefully at the end of the internship. Interning under Ms. Medina comes with the occasional Spanglish conversation. Ms. Fuzetti says she loves when Ms. Medina starts a sentence in Spanish, continues it in English and the ends it in Spanish again. She said it makes her look more human and she appreciates it as a former Spanish teacher. Last, but not least is Ms. Klimek. Ms. Klimek is from Chicago and has lived here all her life. She is a Northside alumna, class of 2013, and in her senior year, was the Editor-in-Chief of the Hoofbeat. After graduating from Northside, she attended Loyola University where she graduated with a bachelors in Psychology. Both of her parents are Polish, and before interning at Northside, she was in Poland for a year working part-time at a hospital to support her sick grandfather. She came back to start her masters degree along with a dual-degree in mental health and school counseling. She came back to Northside when her school advised her to look for internships; Ms. Moore quickly knew that Northside was going to be her top choice. We later talked about how the counseling department has changed since her time at Northside as a student. Ms. Klimek said that she sees a huge difference in college readiness, “they’re more heavy on Naviance which I really like because you have everything, also they didn’t have college conferences, …. along with any technology things .” Ms. Klimek said that Northside culture has not changed since she was a student. Her experience in the counseling office has made her appreciate the counselors more. Seeing all the work that they do makes her excited for the challenges of a counselor. When asked what she wants learn from this internship, Ms. Klimek said she wants the experience; more specifically, creating events for scholarships or college conferences to inform students of the resources that are available to them. Focusing on interning for Ms. Mathews, Ms. Klimek only had good things to say. She explained how much of an example Ms. Mathews sets for her, saying, “she’s super bubbly and happy to help… She also doesn't hold your hand, when she asks you if you’re comfortable doing it, do it.” Although Ms. Mathews might be an amazing counselor, she is a little quirky. Ms. Klimek said that Ms. Matthews occasionally forgets to use dry erase markers so her whiteboard is covered in highlighter and that sometimes she “aggressively” eats her salad breaking her fork in half. Ms. Klimek said all of these wonderful things make Ms. Mathews more human and is happy and proud to be interning for her. The counseling office is changing, and recently added a Career and College Coach. The interns and Ms. Moore have loved their stay at Northside so far and love to be part of the reason that Northside is becoming better everyday. Having people in the office who are willing to put the students first is important. So please, next time you are in the counseling office, give one of them a warm welcome because they might be your future counselor.